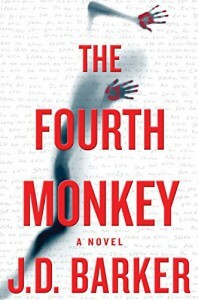 #4MK - The Fourth Monkey (Do No Evil) - Liz Loves Books.Com. Ha ha LOVED this. Easy 5* read. Clever plotting, great characters and a spot on "bloody hell" ending. Gruesome too. I rather relished the gruesomeness not sure what that says about me. Full review closer to publication at request of publisher. Put it on your lists though folks!